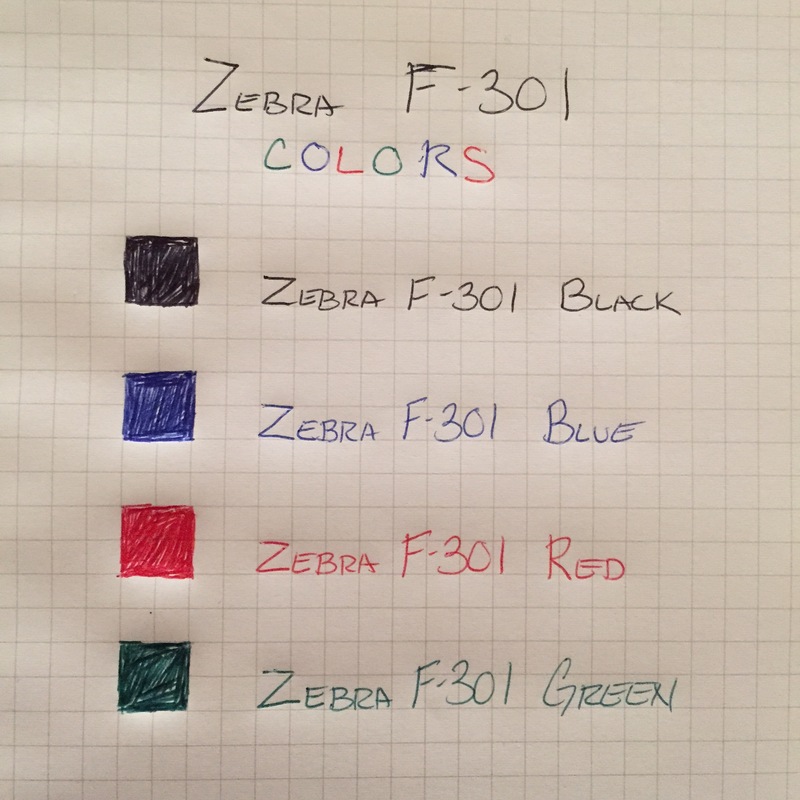 The Zebra F-301 is a very utilitarian pen, and so it’s no surprise that the only colors offered are pretty standard: black, blue, red, and green. The colors aren’t exactly eye-popping, and the lack of variety isn’t great for an artist. But if you already use and enjoy an F-301, these other colors might come in handy for taking notes or marking up papers. 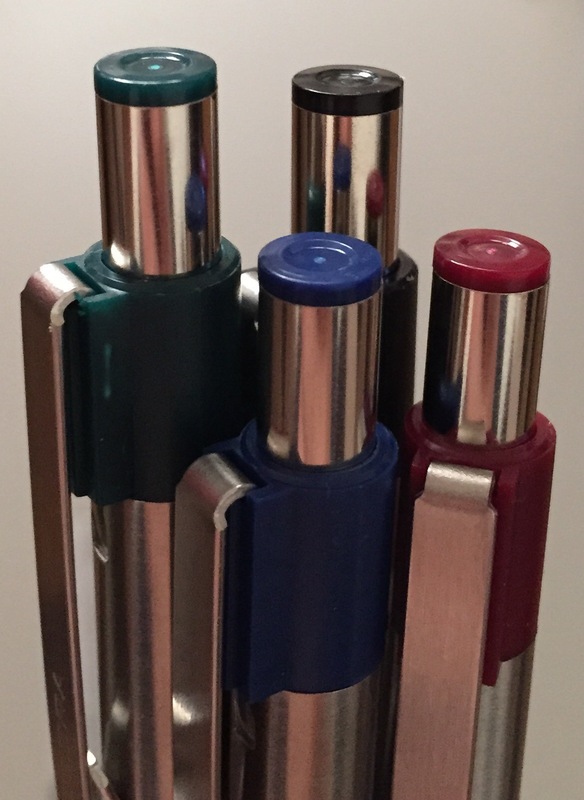 Each color pen has trim matching the inside ink, and though I like the black trim against the stainless steel, I feel that the other colors make the F-301 look a little cheaper. I’d be happy with a more subtle color indicator, perhaps only the print on the barrel and the color on the top of the knock/clicker. All in all, not a bad set of pens if you’re already happy with your standard black Zebra F-301.